WEST PALM BEACH, Fla., March 8, 2019 – U.S. Polo Assn., the official licensed brand for the United States Polo Association (USPA), is thrilled to welcome the newest member of its growing roster of global brand ambassadors, polo player, Hope Arellano. The rising 15-year-old star, who plays competitively with men and women, is a shining example of the next generation of polo players blazing a trail around the world. 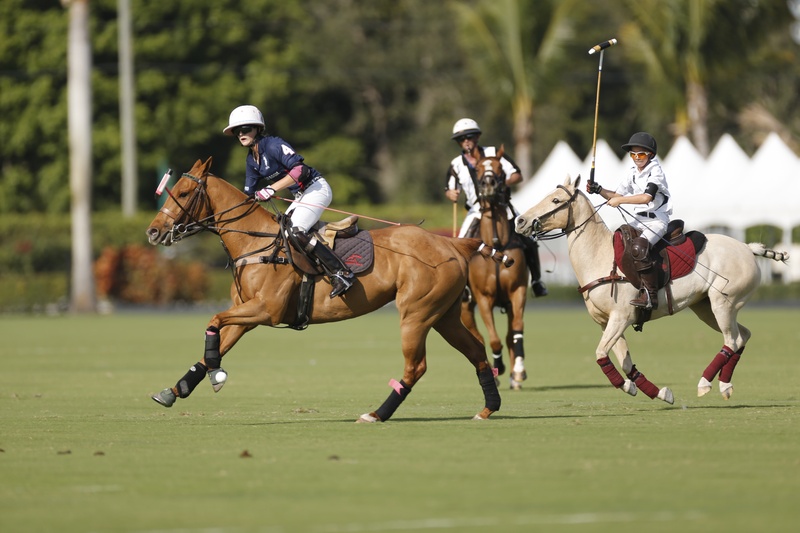 Despite her youth, Arellano is already racking up a slew of accomplishments, including becoming the youngest winner ever at the 2017 U.S. Open Women’s Polo Championship at the Houston Polo Club, being named Most Valuable Player at The Women’s Tournament at The Villages Polo Club in The Villages, Florida and winning the 12-goal USPA Pete Bostwick Memorial tournament with her two brothers and father. The scope of Arellano’s year-long role as a global brand ambassador is broad and is designed to boost awareness of the sport of polo among young women like herself. She’ll be outfitted in U.S. Polo Assn. gear both on and off the field, will post regularly about her polo-related and other daily activities on social media, and will fully engage in media requests for interviews and campaigns. U.S. Polo Assn. is the official brand of the United States Polo Association (USPA), the nonprofit governing body for the sport of polo in the United States founded in 1890, making it one of the oldest sports governing bodies. With a global footprint of $1.7B and worldwide distribution through 1,075 U.S. Polo Assn. stores, department stores, independent retailers and e-commerce, U.S. Polo Assn. offers apparel for men, women and children, as well as accessories, footwear, travel and home goods in 166 countries worldwide.